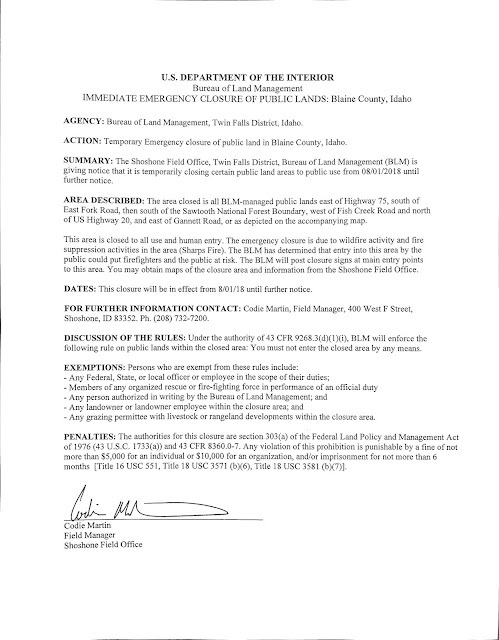 CAREY, Idaho – Effective immediately, the BLM Shoshone Field Office is temporarily closing public lands in and around the Sharps fire area in Blaine County due to potentially hazardous fire conditions. 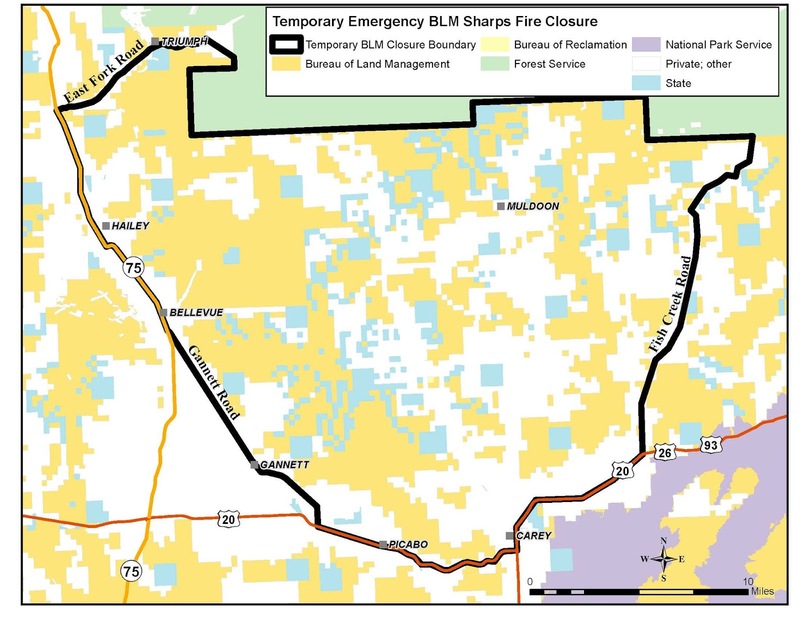 Approximately 128,000 acres of BLM-managed public lands are affected by this closure which covers all BLM-managed lands lands east of Highway 75, south of East Fork Road, then south of the Sawtooth National Forest Boundary, west of Fish Creek Road and north of US Highway 20, and east of Gannett Road, or as depicted on the accompanying map. “The BLM works to promote public and firefighter safety—the weather conditions and fire behavior on the Sharps fire simply call for restricting visitors to this area for the time-being,” said Shoshone Field Manager Codie Martin. Additionally, the Sawtooth National Forest implemented an Area Closure for the Sharps fire area. This includes all roads, trails, and fire area until September 30, 2018 or rescinded by the Sawtooth National Forest Supervisor. The full closure order and map can be found under the closure tab on the Sharps fire Inciweb page.